Registration for this course is processed through the National Association of School Resource Officers. The Texas Association of School Resource Officers will be hosting its 7th Annual School Safety Conference the week of July 22 - July 25, 2019 (Mon- Thurs). 100% Refund on cancellations by 05/01/2019. All classes will be general session. Registration for any NASRO courses offered MUST be completed through the NASRO website at www.nasro.org. Advanced SRO attendees are invited to attend Thursday's Conference sessions at no charge. The exhibit hall will be open Monday-Wednesday, and we are working with local vendors to arrange lunches for purchase. 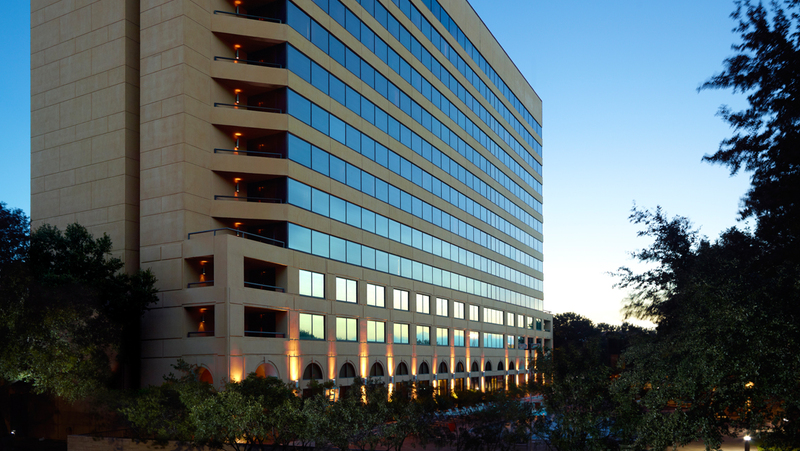 There are also many restaurants within a short driving distance of the conference center. For additional information on the conference, visit Conference 2018. 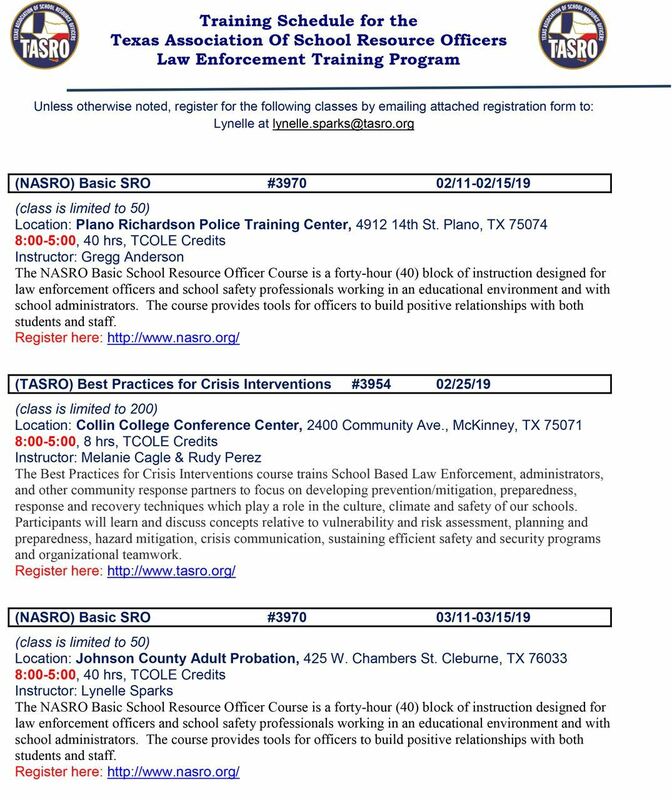 Registration links are listed below for each upcoming training course. If you cannot find course registration information please contact us. Click on their logo to proceed to their website or the below image for specific training.